Good afternoon everyone! I hope you are all having a great hump day! Today is extra special to me because….IT’S MY BIRTHDAY!!! Every year I try to plan something special but most of the times I have failed so this year for my 37th birthday I am keeping it low key. I’m spending my day with the fur babies and taking time for myself. There is something nice about sleeping in, lounging in comfy clothes, and eating a free birthday burrito from Moe’s Southwest Grill. Naturally it wouldn’t be my birthday without some birthday inspired nail art so you know I took time for that. For my birthday nail look I started off with Oh Splat! 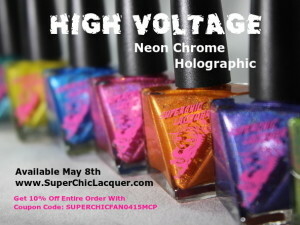 from KBShimmer. This was one of my first true polish lemmings and still to this day I think it is one of the most beautiful crellies on the market. 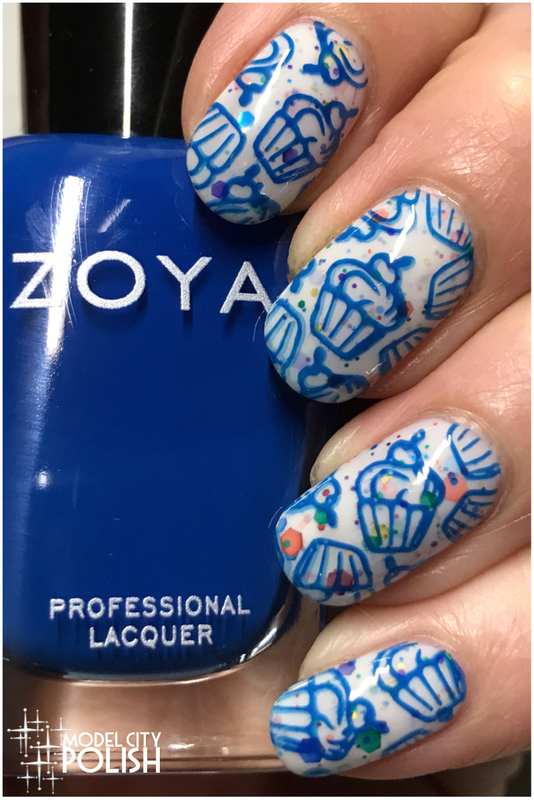 Next I used Mallory by Zoya and a food inspired plate from Pet’la Plates. Everything is sealed with two coats of HK Girl by Glisten & Glow. 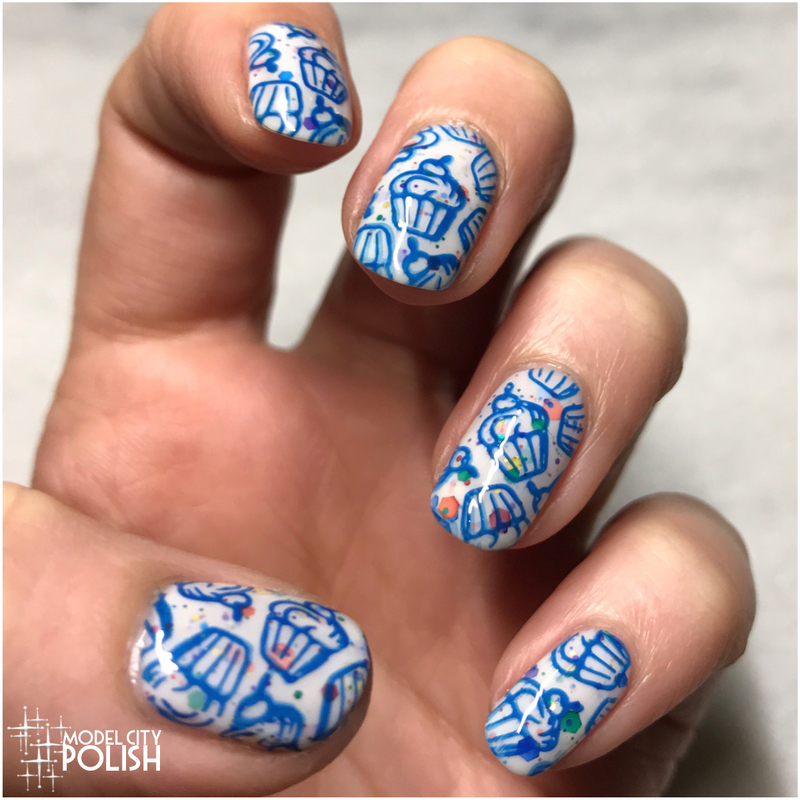 I love the base you chose to pair with this stamping! 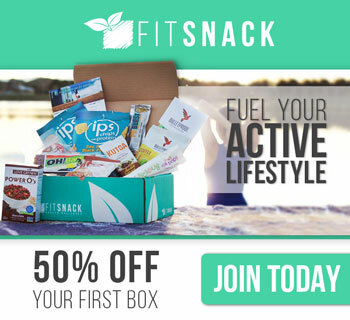 Makes it like confetti cake! Cupcakes with sprinkles. How cute. These nails would make my 4 year old so happy. Love your nail art! Hope you had a happy birthday! I love KBShimmer glitter crellies as a base for stamping! They are so much fun! That base is so adorable!! 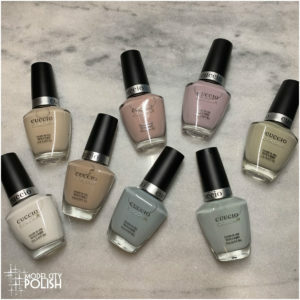 I have a polish similar to that but I like yours better. HapPy birthday!! That really stamped well! A real cupcake does sound pretty good! These are cute! Happy belated birthday! 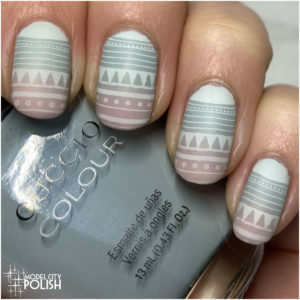 Your nail art to go with it is perfect! Happy birthday! 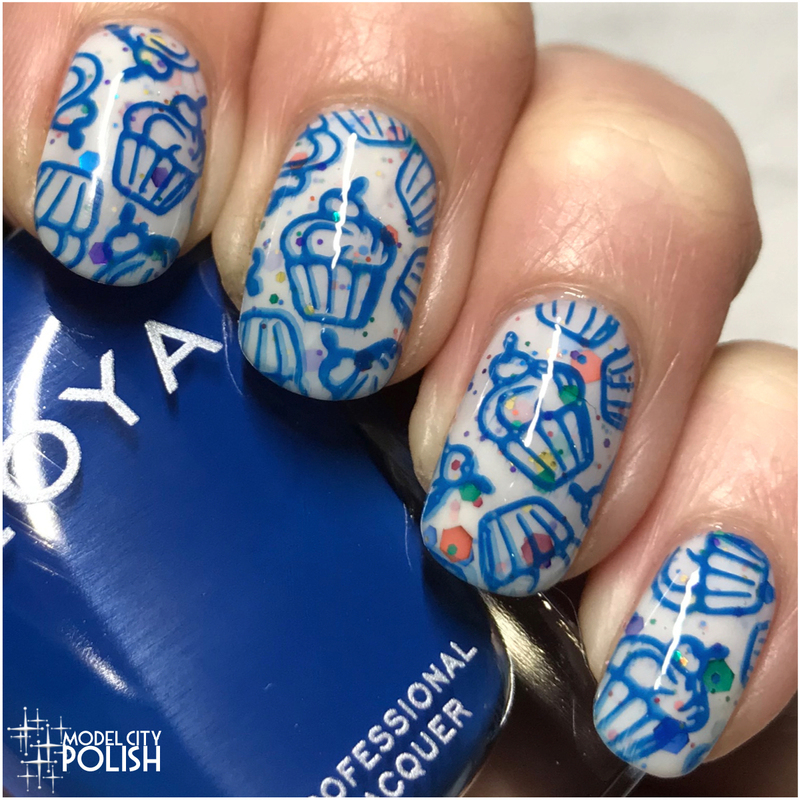 What a fun mani to celebrate!